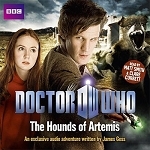 Clare Corbett reads this thrilling adventure by James Goss, featuring the Eleventh Doctor and Amy Pond. In Dr Bloom's clinic at a remote spot on the Italian coast, at the end of the 18th century, nothing is ever quite what it seems. Maria is a lonely little girl with no one to play with. She writes letters to her mother from the isolated resort where she is staying. She tells of the pale English aristocrats and the mysterious Russian nobles and their attentive servants. She tells of intrigue and secrets, and she tells of strange faceless figures that rise from the sea. She writes about the enigmatic Mrs. Pond who arrives with her husband and her physician, and who will change everything. What she doesn't tell her mother, is the truth that everyone knows and no one says - that the only people who come here do so to die. 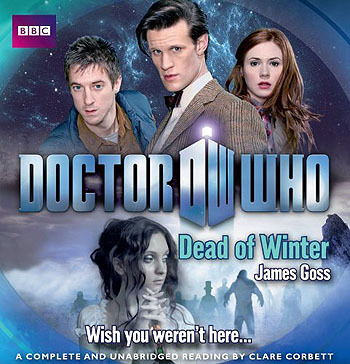 James Goss has written two Torchwood novels and a radio play, as well as a Being Human book. 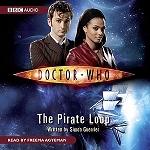 His Doctor Who audiobook Dead Air won Best Audiobook 2010. James also spent seven years working on the BBC's official Doctor Who website and co-wrote the website for Torchwood Series One. In 2007, he won the Best Adaptation category in the annual LA Weekly Theatre Awards for his version of Douglas Adams' novel Dirk Gently's Holistic Detective Agency.